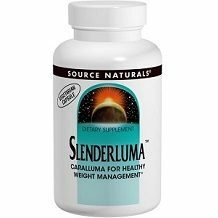 This is a review for Slenderluma and we will examine the facts regarding this product. The manufacturer claims that this supplement contains extracts that will help to suppress your appetite by inducing feelings of fullness. This product claims to assist relieve hunger and maintain a healthy weight when used in combination with a healthy diet and regular exercise. Caralluma Fimbriata contains chemicals that may decrease your appetite which might help with weight loss. This plant extract is also suggested to increase your endurance and may also help relieve thirst. 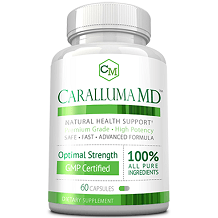 Research does advise there may be some mild possible side effects related to the use of Caralluma Fimbriata such as constipation, stomach pains, stomach upset and intestinal gas, however, these symptoms should dissipate after roughly a week of use. The manufacturer suggests that you should take one capsule two to three times per day. It is advised to take these capsules roughly half an hour before meals and it is also advised that in order to receive best results, you should use this product along with the weight loss plan that should be enclosed. There does not seem to be any listed side effects for this product, however, considering that research does suggest that the main ingredient used may have some mild side effects, it may be a good idea to consult a doctor should you experience any negative reactions. The manufacturer does advise that this product should be kept away from children and that if you are pregnant or nursing that you should consult a doctor before trying to use this product. This product does not seem to be available to purchase directly from the manufacturer, although they do have suggested prices listed for this product. The manufacturer suggests that 30 capsules should cost around $20.25, 60 capsules should cost roughly $38.98 and 120 capsules should cost about $75.98 when purchasing it online from an alternative retailer. Unfortunately, the manufacturer does not offer any kind of money back guarantee which may be disappointing should you not be entirely content with the results of this product. This may create a significantly doubtful mind for most especially with regards to the general quality standards and effectiveness of this product. Considering this product does use a good ingredient and that it does have clear instructions advised, it could be considered to be a fairly ok product. However, this is a relatively expensive product and this is disappointing especially because it is sold in rather small quantities and there is no way to get your money refunded if you are not happy with the results after using this product because the manufacturer offers no guarantees. It is also concerning that this product does have possible side effects according to research. Based on all the relevant aspects of Slenderluma, it does not seem superior in any way when comparing it to any other similar product.